As someone who runs two businesses, has a family and a busy life in general it's is important to stay focused. This blog post is about how I use themed days to help me run two companies and stay sane. Even though, I am not a Jack Dorsey, I felt we had a similar problem. Jack themes his days so he can work full-time at both companies, Twitter and Square A guide to Jack Dorsey's 80-hour workweek I tried a similar approach for my two companies jtribe and RaisedPixels and it works for me. It is too easy to fall into a reactive mode. Clients and team members can put a unexpected high demand on a leader. Decisions need to be made quickly. Most of the time pressure is created based on a false sense of urgency. It is very tempting to jump onto anything that is urgent. Too often, I looked back at a week and wondered what I have actually achieved. Time seems to fly but not for a good reason. So, here is how I deal with an increasing amount of interruptions, stay focused and put any unexpected event in perspective. It does not work all the time but it helps to stay focused and resist the temptation of urgency. 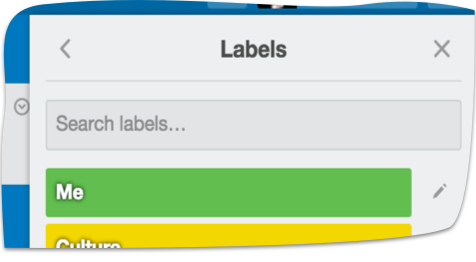 Trello is my tool of choice for running my business and life. 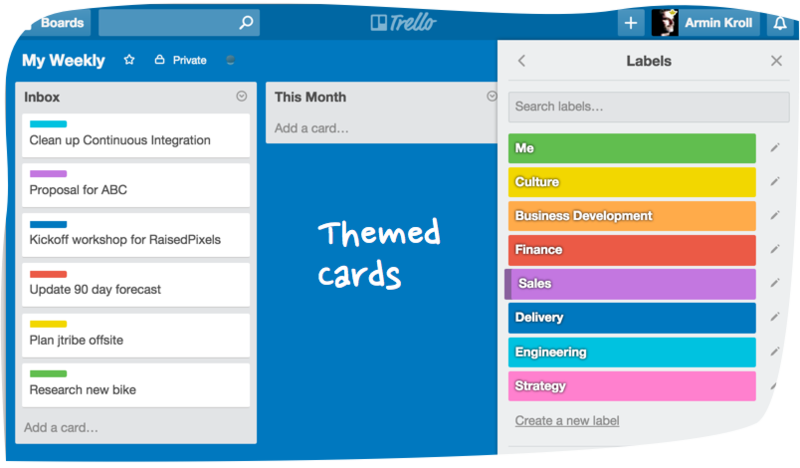 I have tried so many different tools but the one that works for me is trello. It works for me because I can use it the way I want it. One of the most important assets in your business is you. This is why I felt adding a "Me" label supports my goal for self-improvement, staying fit and educated. The "Me" label is used for anything that makes me grow. I also use to add some rewards for myself.